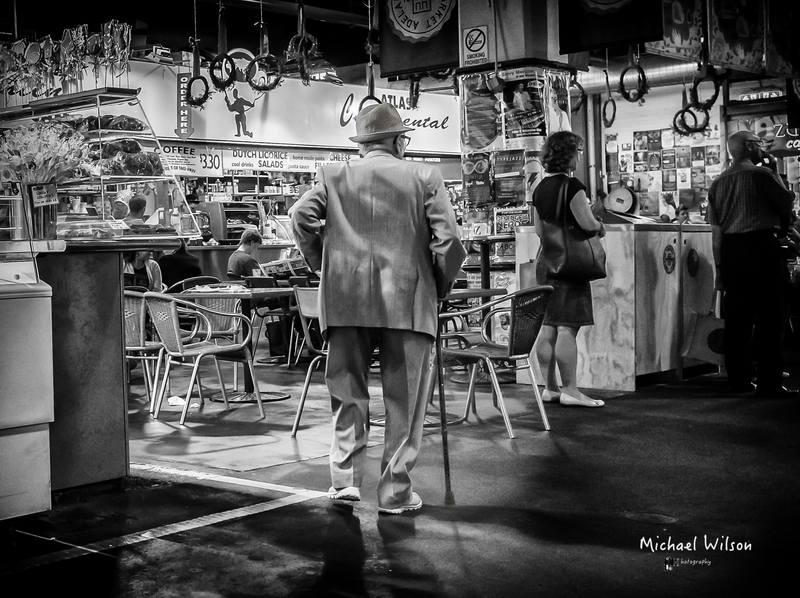 This entry was posted in Photography and tagged Adelaide, adelaide central market, Adelaide Street Photography, black & white, City, Lightroom, People, Photography, Silver FX Pro, South Australia, Street Photography. Bookmark the permalink. He looks like he’s about to boogie. He is indeed dapper down to his Timberlane Boots. He may be older but he is still with the times. Nice shot!